This hoodie has space vibes all over it. 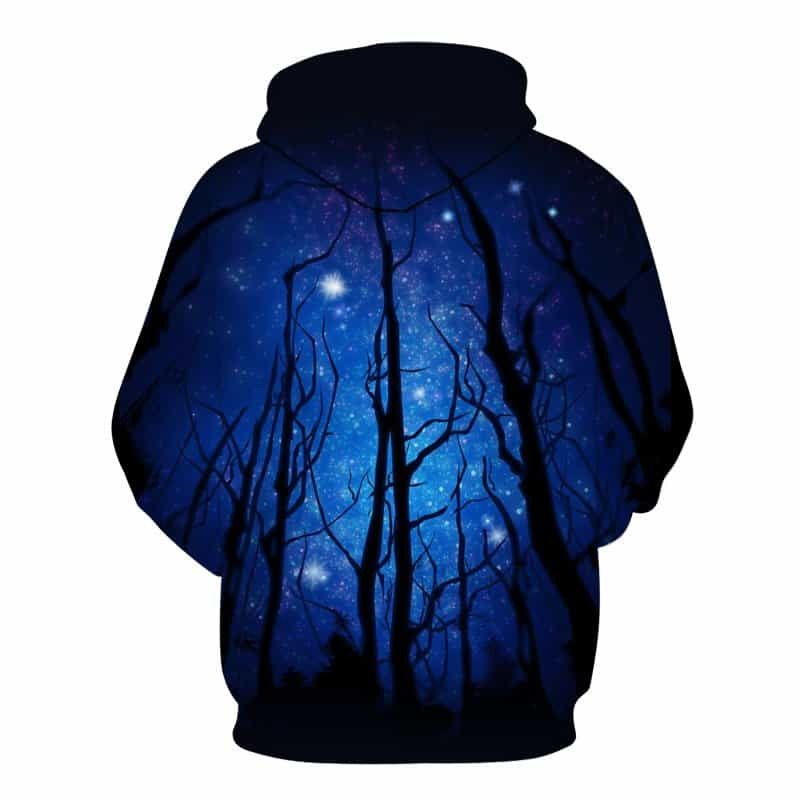 This night forest hoodie features blacked out trees at the bottom with a lunar blue sky with stars dotted everywhere. Truly a beautiful print and one of our favourites. 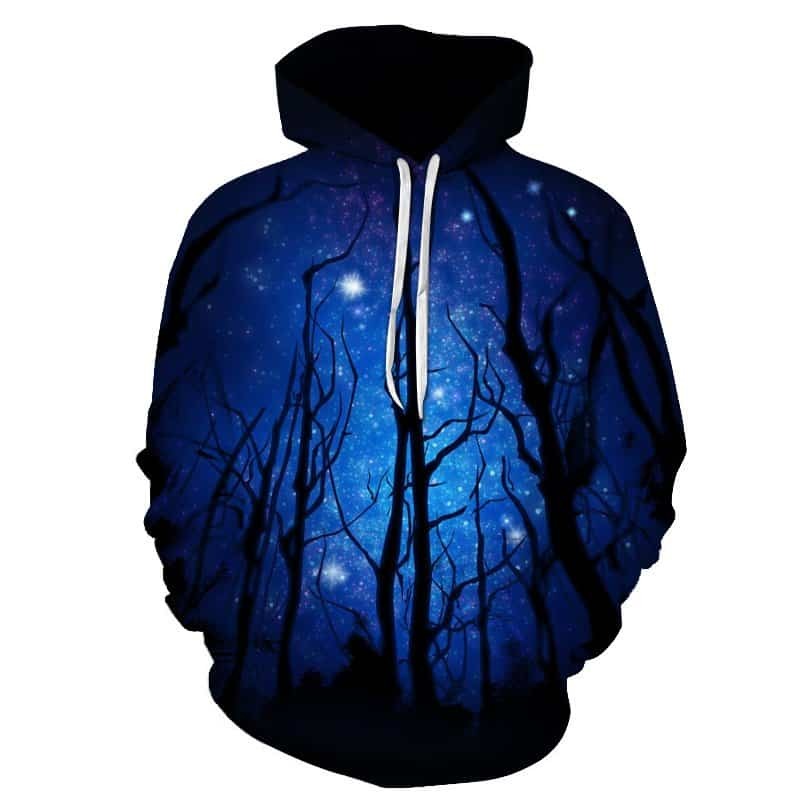 The hoodie is comfortable to wear, looks fashionable and is wearable anywhere. It was designed for both male and female. Very nice design, even the hood has design on it, on both sides ( inside and outside) ! Fabric was not what I expected, but is actually very good. It is a stretch polyester material, and warmer than it looks! Label says 65% cotton 35% polyester, but I don’t think there is any cotton in it . Label also says Dry Cleaning recommended , but it have washed in washing machine, and it seems a very easy care material. Easy to wash, fast to dry. All in all, very good product.